Following his university law studies, Hans immediately joined the world of finance by selecting a financial institution as his first place of work. In 1981, he found his calling in real estate management and took on a position with the RDM Federal German Realtors’ Association in Hamburg. Only a year later, the RDM's National Executive Board appointed him Managing Director. A "European" in the best sense of the word, Hans served in an advisory capacity at the very first meeting held to lay the groundwork for founding a Europe-wide association of Property Managers professionals as of 1988. The Confédération Européenne des Administrateurs de Biens (CEAB), was then finally founded on November 11, 1989 in Firenze (Italy). Helping to chart the course of Europe has been central to his achievements. On July 5, 1991, the European Property Agents Group (EPAG) was founded in Hamburg. The RDM is a charter member of this association, and Hans was instrumental in organizing this meeting. 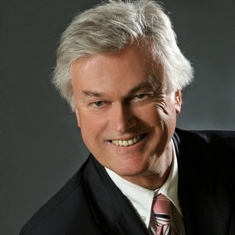 Hans has always been a major force for cooperation among European real estate professionals. He also very actively contributed to the policy and education work of the European Council of Real Estate Professions (CEPI). He also largely contributed to the association’s training programme. For the last two years, he has served as a central link between the two European associations of the CEPI and the European Confederation of Real Estate Agents (CEI), both of which IVD is a Member. “I am really happy that Hans will stay for a while and support European activities. His experience, his expertise and social sense are strong assets to make projects and people work, even if he is officially retired,CEPI’s Managing Director Xavier Ortegat murmurs. CEPI, CEAB and EPAG’s Presidents, as well as the managers of the three associations join their voices to express our sincere thanks for his past and present commitment. We wish him and his wife, to continue to take advantage of the friendships he has built, to enjoy rock concerts and visit the best whisky distilleries of Scotland.